Fully enclosed clasped pocket holds paper and other essentials. Secure clasp prevents paper from falling out of pocket. Water-resistant material protects documents from the elements. Durable construction, EZ-Turn™ ring for added page capacity and smooth page turning. Protect and store paper and supplies with ease. Fully enclosed clasped pocket holds paper and other essentials. Secure clasp prevents paper from falling out of pocket. Water-resistant material protects documents from the elements. 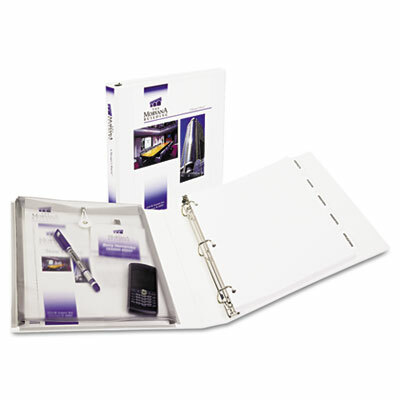 Durable construction, EZ-Turn™ ring for added page capacity and smooth page turning.